Given the fast pace of nursing work environments, implementing innovative ideas or processes in clinical settings can be challenging. This is especially true if the worker perceives that the new transformation in some way will impede or hinder the “normal” way of completing work efficiently. It’s no secret that people in general are initially resistant to change. President Woodrow Wilson once said, “If you want to make enemies, try to change something.” With this said, it’s important that change agents are thoughtful and diligent in their approach to implementing new practice ideas. As it relates to health care, particularly direct patient care as delivered in hospital settings, thoughtfulness and diligence are two essential factors to consider when the overall goal is to achieve staff buy-in for any new initiative. Thoughtfulnessas it relates to identifying and applying tools and resources that may already exist in the work environment. Diligence in the sense of ensuring that new change practices or processes are rooted in simplicity because change is perceived as cumbersome or burdensome. This common perception is why most change efforts fail to yield the change agent’s intended outcomes. As for healthcare workers, thoughtfulness and diligence are especially critical when attempting to change patient care practices—pragmatism and timeliness are almost always of the essence. As mentioned earlier thoughtfulness and diligence are essential when attempting to implement changes to clinical practices and processes. When considering the environments in which patient care is delivered, many resources exist that, if thoughtfully applied, can be leveraged without having to reinvent the wheel. For example, when patients are admitted as inpatients, the nurse’s initial physical assessment will usually include questions that address a patient’s mobility status. If a patient is able to ambulate, typically no mobility assistance is required other than the usual environmental inpatient safeguards. If a patient uses a cane or walker, then the patient will continue to use these devices throughout the admission. Should the patient require assistance to stand or ambulate, then perhaps a mechanical sit-to-stand device is appropriate. Of course, if a patient’s mobility is severely limited, we should immediately recognize that a total assist patient-lift such as an overhead ceiling lift or portable total-assist device is most appropriate when providing mobility assistance. Requiring and including mobility algorithms and additional documentation does not necessarily motivate staff to use patient-lift equipment. However, diligently applying familiar tools that staff are accustomed to working with is consistent with keeping new practice processes simple, while limiting negative perceptions that often prevent new change processes from taking place. The concept of applying thoughtfulness and diligence when implementing new ideas prevents staff from viewing new practice innovations as overwhelming. It’s important as change agents to make necessary modifications with as little to no interruptions to the norm as possible. Given the patient care complexities that exist in most practice environments, staff members are more likely to balk at any new initiatives perceived as additional or extra. Keeping it simple without overthinking or complicating new patient-lift processes is optimal when trying to create changes that will consistently reduce the risk of employee injuries related to manually lifting and moving patients. 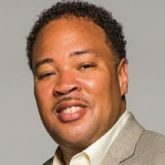 Roric P. Hawkins is the founder and president of The RP Hawkins Group (www.therphawkinsgroup.com) and is the safe patient handling and mobility coordinator at Michael E. DeBakey VAMC in Houston, TX. The views expressed here are his own.